This caramelized pork dish is perfect served over a snowy bowl of jasmine rice. The Stir-fry chunks of pork belly, chilli and green onions in the wok makes it very aromatic. For a lighter though no less delicious alternative, consider lean pork tenderloin instead. And also, keep a bottle of xo chilli sauce nearby. 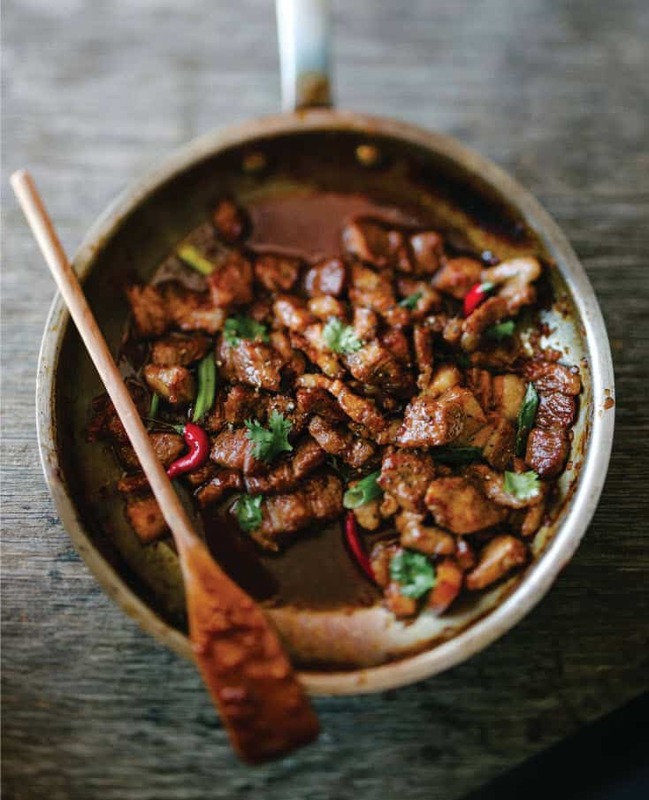 This Caramel Pork Recipe comes from Kim Thuy’s newest cookbook, Secrets From My Vietnamese Kitchen.